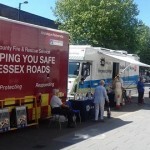 The Safer Essex Roads Partnership is supporting the annual festive THINK! 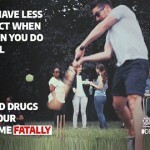 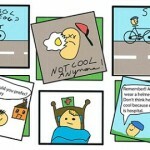 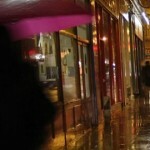 drink-drive campaign, which aims to encourage young men to step in if their mate is tempted to drink and drive. 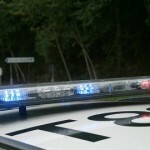 A driver has confessed to being an ‘idiot’ after being caught using her mobile phone during a recent ‘Surround a Town’ day in Wickford. 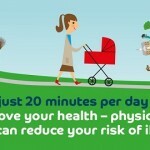 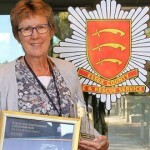 The Safer Essex Roads Partnership is encouraging pedestrians to spare an extra thought for their safety this winter, with figures highlighting a spike in casualties after the clocks went back in October. 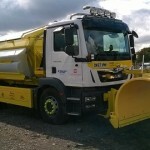 Essex Highways’ winter service has officially started, with gritter drivers on standby, a new salt barn – and more localised forecasting ready for any severe weather. 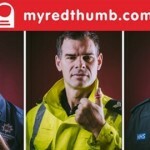 Forty drivers have been issued with awareness courses after being stopped by Essex Police for failing to wear a seatbelt. 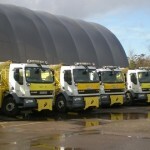 Surface dressing techniques were applied to more than 250 miles of Essex roads this summer – as part of efforts to prevent potholes forming. 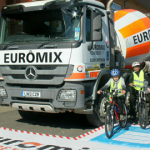 The transport manager of the concrete supplier Euromix attended a Bikeability session which featured a concrete mixer lorry at Clacton County High School on 25-26 September. 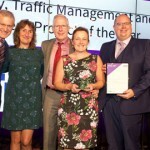 The Extra Eyes campaign, launched by the Safer Essex Roads Partnership in 2017, has been recognised with a prestigious national road safety award. 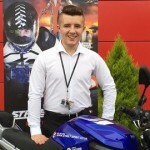 The Safer Essex Roads Partnership (SERP) has launched a new young rider campaign by speaking to hundreds of students at the Colchester Institute. 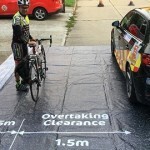 A new operation has been launched to help keep vulnerable road-users safe on roads in Essex, by targeting drivers who pass cyclists and horse riders at an unsafe distance. 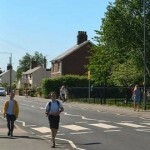 Motorists, pedestrians and cyclists are set to benefit from a major funding boost to support schemes making it easier and smoother to travel across Colchester. 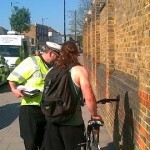 More than 40 drivers have been convicted following a month-long drink and drug drive campaign earlier this summer. 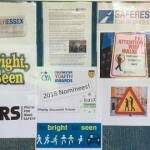 Essex Police responded to a record 98 ‘Extra Eyes’ submissions during July – after receiving more than 300 submissions in a single month for the first time. 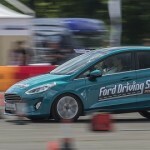 Young drivers across Essex are being encouraged to sign-up for a free training programme, delivered by the vehicle manufacturer Ford. 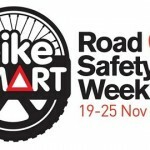 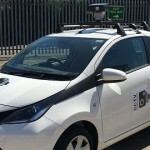 The Safer Essex Roads Partnership is encouraging the county’s road users to take a short survey designed to shape future road safety interventions. 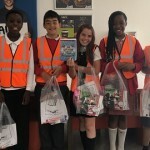 A week-long event has seen children in Thurrock learn the importance of keeping safe while walking to school and out with friends. 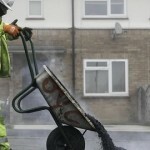 ‘A rat has eaten my speaker wires so my Bluetooth doesn’t work so I had to hold my phone to hear what they were saying’. 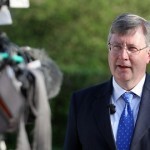 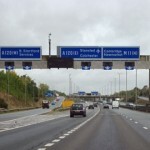 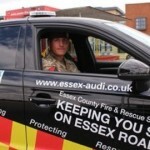 A new survey has been launched asking road users in Essex what they think will improve road safety in the county. 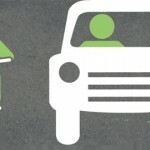 Do you know how much time you have to react to something on the road when driving? 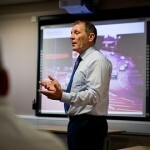 That is the question the Safer Essex Roads Partnership is asking during this summer’s anti-drink and drug driving campaign. 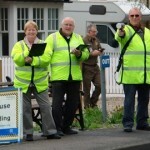 A total of 1,343 community speed watch sessions were carried out by volunteers across Essex last year. 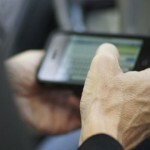 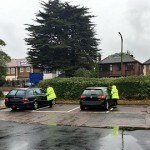 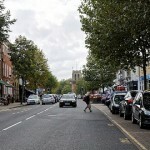 The latest ‘Surround a Town’ event took place in Epping on 18 May, with a string of mobile phone and seatbelt offences detected by Essex Police. 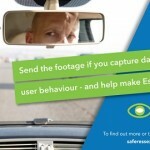 The Safer Essex Roads Partnership (SERP) has welcomed a new report which shows that speed awareness courses reduce re-offending rates. 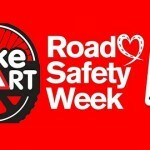 Road Safety Ambassadors are being appointed at schools across Essex, as part of an ongoing initiative to spread road safety messages among students. 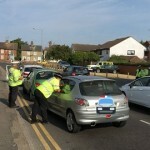 The latest ‘Surround a Town’ event took place in Southend on 20 April, with more than 100 seatbelt offences detected by Essex Police. 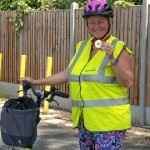 A Thurrock mum can now enjoy cycling with her daughter following a successful lesson from Thurrock Council’s cycling instructor. 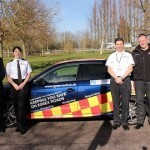 A new initiative to help young drivers stay safe and #DriveWell in Maldon will launch at Maldon Fire Station on 5 May (6. 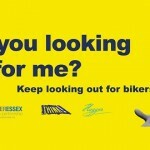 The Safer Essex Roads Partnership has re-launched the Hugger campaign in an effort to reduce the risks faced by motorcyclists on the county’s roads. 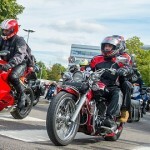 Motorcyclists in Essex are being encouraged to sign up for Essex & Herts Air Ambulance spring Motorcycle Run, which takes place on 20 May. 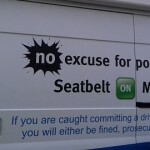 Officers from Essex Police casualty reduction section stopped 39 drivers for seatbelt offences during a recent one-day operation in Loughton. 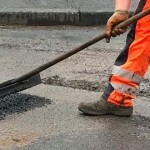 Essex Highways has published details of the roads it will be resurfacing this year as part of the £50m 2018/19 capital surfacing programme. 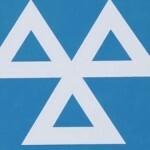 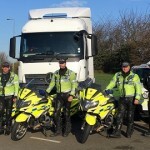 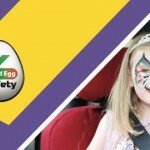 The Safer Essex Road Partnership (SERP) is supporting Highways England’s ‘vehicle checks’ campaign in the run up to the Easter holiday period. 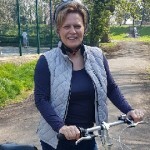 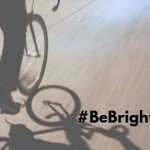 The Safer Essex Roads Partnership is encouraging residents to ‘get cycle ready for the summer’ by improving their skills on two wheels. 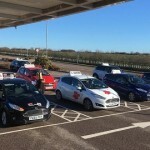 25 young people got behind the wheel of a car for the first time last Sunday (11 Feb) as part of an initiative supported by the Safer Essex Roads Partnership. 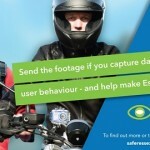 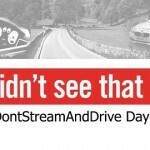 Essex Police received more than 100 videos in the first full month of the Extra Eyes campaign and took action in response to 49 of the clips. 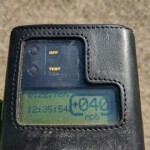 Officers from Essex Police casualty reduction section stopped 35 drivers for speeding offences during a recent one-day operation in Canvey Island. 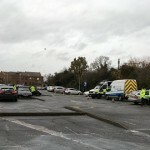 A one-day operation held in Basildon earlier this month resulted in three people being arrested on suspicion of drug driving. 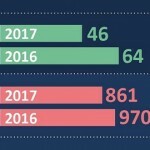 Figures published today (11 Jan) by Essex Police show that the number of people killed or seriously injured on Essex roads fell in 2017. 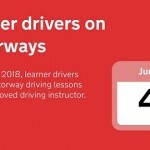 If you are stuck for an idea for a New Year’s Resolution, consider making one that will make you a better driver. 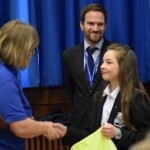 Congratulations to Emily Bagshaw from Roding Valley High School in Loughton, who is a runner up in the SERP schools’ poetry competition. 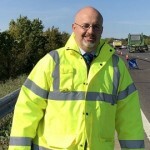 Roads across Essex are set to benefit from additional Government money to target potholes and improve highway maintenance.